The espresso machine showdown we’ve all been waiting for has finally arrived: Jura vs Breville. 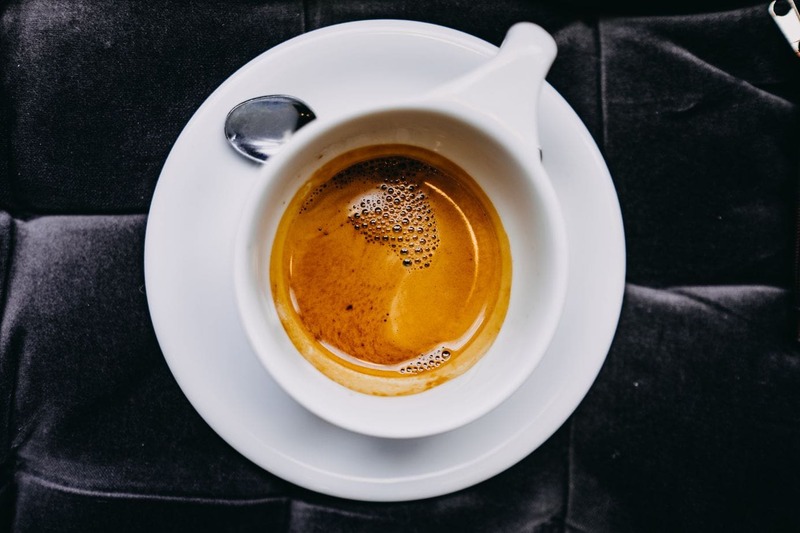 How do you choose between a brand focused on being the forefront of innovation and convenience and one dedicated to meeting every demand of the coffee-loving community? We’re here to help you do just that. Read on for the breakdown of the Jura vs Breville debate to find out which one might be better for you. Neither Jura nor Breville began their brands with the manufacturing of espresso machines. Instead they both broke into the espresso machine game relatively late: Jura in the 1980s and Breville in the 2000s. Because of this, both brands were able to jump in with fresh perspectives. Many key innovations had already been developed, so both brands pride themselves on trying to go above and beyond what you expect from a typical espresso machine. Since their home appliance conversions, both Jura and Breville have begun to focus most of their attention on their espresso machines. They are now known as two of the best high-end brands. Leo Henzriohs created Jura Elektroapparate AP as quality home appliance producer. They are a Swiss brand endorsed by tennis player Roger Federer. Since their aforementioned conversion, Jura has been almost exclusively manufacturing top-notch espresso machines. They have a highly specialized brand, opting to only make fully or super-automatic machines. As a result, these machines tend to be pretty pricey, with no low-budget options. However, with that price tag you can expect a reliable, durable machine for years to come. Bill O’Brien and Harry Norville combined their names to found Breville in 1932. Similar to Jura, Breville got its first big breaks in other realms of home appliance manufacturing (with their sandwich toaster in particular). 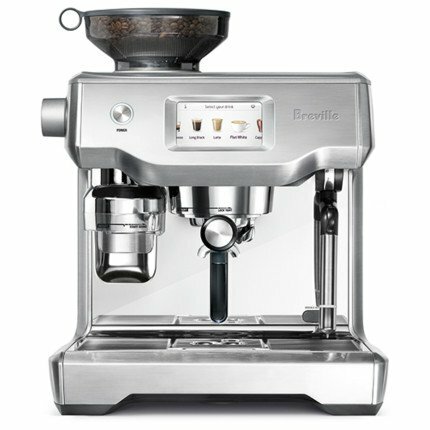 Despite not phasing out their other products, Breville has climbed to the top of heap among the most-sought after espresso machines. Now, this Australian brand appears on the wish lists of many of the most dedicated home baristas. Where Jura emphasizes durability, Breville prioritizes innovation and communication. They have one of the most effective customer feedback implementation systems out there, and it shows in their machines. Ultra sleek and compact, the A1 is the closest you can get to a “budget friendly” option at Jura. This model is one of only a few Jura models that comes in under $1000. The A1 slightly edges out its in-house competition with the P.E.P (Pulse Extraction Process) system. The P.E.P. combined with the Aroma grinder and pre-infusion systems helps bring out the best possible flavor from your beans. On the other hand, despite the array of features, this machine does not come with a steaming wand (manual or otherwise). So even though it’s at the lowest end of the Jura spectrum, you’ll probably still have to buy a couple accessories. 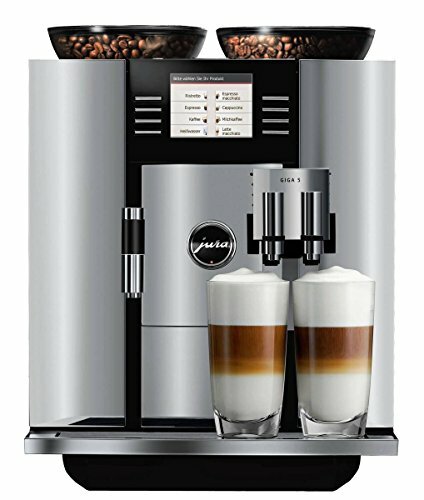 If you are looking for the marriage of semi and super automated brewing, you’ve come to the right place with this machine. This is the newer model of the much loved Breville Barista Express. It’s an automatic machine with semi-automatic redundancies, so you can brew however you prefer. It features a stainless steel conical burr grinder, 67 oz. water tank, single and double walled filters (good for both novice and experienced brewers), a “clean me” light, and a cleaning kit. Perhaps most importantly though, this machine has a 360- degree, adjustable steam wand. Even with the steam wand and the inclusion of both semi- and fully-automatic capabilities, this machine comes in at a significantly lower price point than any of the Jura models. Plus, this isn’t even Breville’s cheapest machines, which should give you a pretty good idea of their range. The GIGA 5 is one of Jura´s top of the line machines, with tons of bells and whistles included. If you’re looking for a machine that take all of the guesswork off of your hands, then the GIGA 5 might be for you. 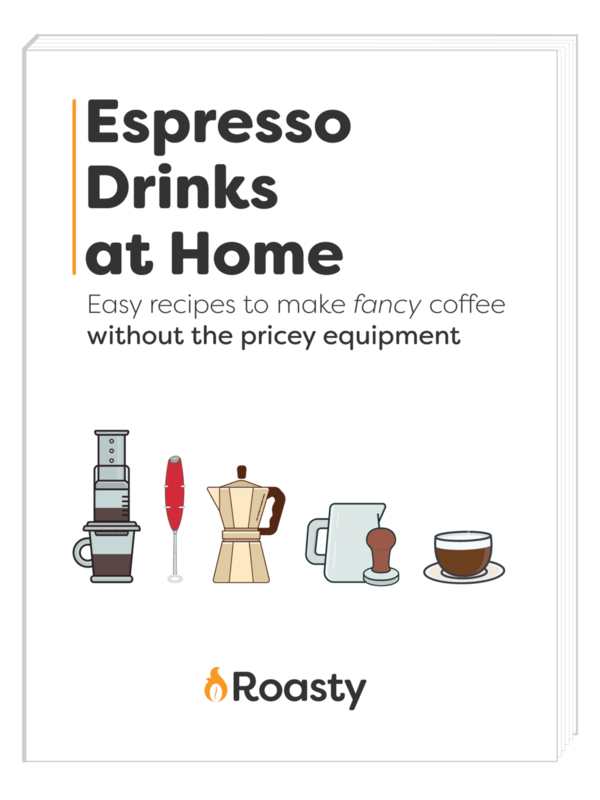 With this, you are going to have professional-tasting espresso drinks for years to come, with minimal effort on your part. However, even though this machine is actually about 2 Grand less than their most expensive model, the price is still incredibly steep. And if you want any sort of semi-automatic functionality, this is not the machine for you. The emphasis here is on convenience and ease; you’re basically getting a live-in barista with this one. The big guns came out with the Breville Oracle series, and their dedication to the wants and needs of their customers really shows through on this one. Behind the brew on this machine is a dual boiler system with an espresso boiler and a steam boiler. These ensure that the brew is produced at the correct temperature and that you reach the full aromatic potential with every cup. On your end, you’ll find a color touchscreen showing 5 pre-programmed drinks (plus information on each one). It also has room to create, name, and save up to 8 personalized drinks for easy access later. So with customizable grind and froth settings, you are really getting the peak of programmability. While this machine does not necessarily have all the fun gadgets that the Jura does, it does come with a reputation for high customer satisfaction and user friendliness. It’s also wonderfully customizable for those who like to tinker with their brews. Additionally,while it’s still not ultra-affordable, it comes in a couple thousand dollars cheaper. So, that’s always a plus. One thing you are going to have to consider, especially if you want the capability to make specialty drinks, is the presence of a steaming wand. The more affordable Jura option does not have an integrated milk frother or even a manual steaming wand. Whereas, the BES870XL does. However, if you’re looking at the higher-end options, this won’t be an issue for you. Do you want semi-automatic functionality? Many of the Breville automatic machines have semi-automatic functions included. Even the machines that don’t let you precisely control your shot pulling manually, offer a level of customization that can get you pretty close. However, with the Jura, you’re getting top-notch convenience. It’s not ideal for people who love to get super involved with their drinks. 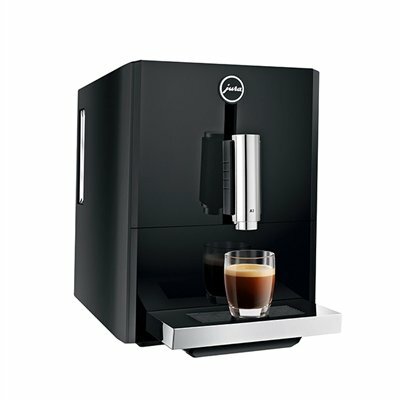 But, these sleek fully-automatics are perfect for those who just want to press a button and have a perfect espresso-based drink. If your budget is pretty modest, chances are you’ll end up with a Breville. While neither of these brands are super budget friendly, Breville does offer some machines that are reasonably affordable. However, if the sky’s the limit for you, Jura is going to meet you there. While the Breville lines stop a little under the $3,000 mark, that’s just the middle range for Jura. So if you’d rather invest in a truly top of the line machine instead of a decent used car, we can’t stop you. Breville is accessible in almost every way imaginable. From price range to features, this brand clearly has the customers as its driving force. If you’re looking to get the most bang for your buck, Breville is definitely the way to go. However, if money really is no object for you and you just want to reach for the stars as far as what your machine can do, maybe consider Jura.